Who is eligible for the QPR Cash scheme? 2018/19 Season Ticket Holders, members and hospitality clients are automatically enrolled into the scheme and are the only individuals eligible. For more information on memberships, click HERE. When does the QPR Cash scheme run from? The 2018/19 QPR Cash scheme runs from 1st June 2018 to 31st May 2019. Are Junior Hoops members eligible to earn QPR Cash? Yes, Junior Hoops are eligible to earn QPR Cash. Each supporter has their own QPR Cash balance. I was a season ticket holder or member last season and yet to renew. Am I still eligible for QPR Cash? Only supporters who are season ticket holders, members or hospitality clients for the 2018/19 season are enrolled into the QPR Cash scheme. Are all hospitality clients eligible for QPR Cash? Only seasonal hospitality guests are entitled to QPR Cash. Does an Ambulant Carer, Disabled Helper or Kids Under 8 earn QPR Cash? Due to ambulant carer, disabled helper and under 8 tickets being free of charge, you will not receive QPR Cash on your season tickets. Should these accounts be used when making purchases on merchandise and tickets at a value of a minimum of £1, you will receive QPR Cash. Does the club still have their current loyalty points scheme in place despite the introduction of QPR Cash? Yes. The club’s current loyalty points scheme which has been in existence for a number of years is used for determining eligibility on match tickets and invites to certain events e.g. Fans’ Forums and will continue to work in this way. The QPR Cash scheme does not affect supporters’ current loyalty points’ balance. How do I check my QPR Cash balance? By logging in to the online superstore HERE. Can I transfer my QPR Cash balance to another season ticket holder to spend? No, as stated above, all QPR cash is stored and cannot be transferred to another account. 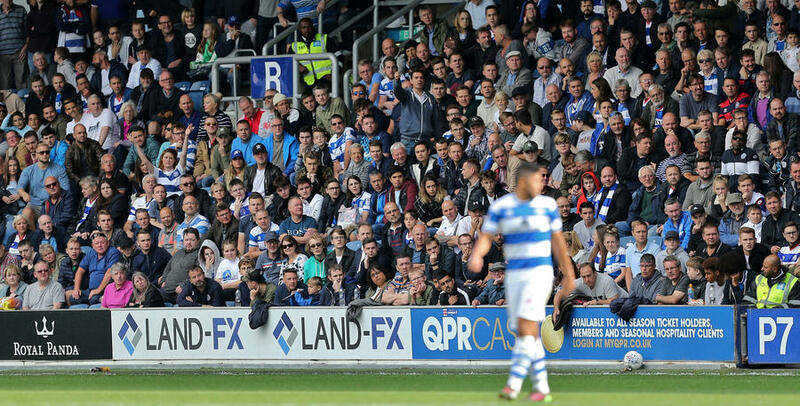 However, QPR Cash can be allocated to family members or friends when making a purchase via the e-ticketing website or by calling the QPR Box Office. QPR Cash will be awarded to those supporters assigned to seats therefore, supporters must assign members and season ticket holders by inputting their client reference numbers. How long does it take for my QPR Cash to be added to my balance? QPR Cash earned from your purchases takes up to 30 days from the date of your purchase to be added to your balance. As the club’s returns policy on merchandise is 28 days, this prevents the confusion of QPR cash being allocated and then items being returned. How can I earn QPR Cash? If you are a season ticket holder, member or hospitality client you can earn QPR Cash on the purchase of your season ticket or membership, buying additional home match tickets, merchandise and stadium tours. If I use QPR Cash to pay for all or part of a transaction, will I still earn QPR Cash? Supporters will only receive QPR Cash on their actual spend, not solely from redeeming QPR Cash. For example, if a supporter redeems £20 QPR Cash on a £50 item, they will only earn QPR Cash on the £30 they spend. I am a season ticket holder, does my 10% discount in the club shop still apply, and how does this work with QPR Cash? Yes, season ticket holders still receive their 10% discount and earn QPR Cash on their net spend. For example, if an item is £33, season ticket holders can purchase this item for £30 with their 10% discount and then receive 5% QPR Cash. Therefore, the season ticket holder will receive £1.50 QPR Cash on this purchase. Where can I spend my QPR Cash? You can spend your QPR cash in the QPR superstore or online on R’s merchandise. To do this, present your membership or season ticket card at the till, or if you are at the online superstore, log in with your client details. Is all merchandise included in the QPR Cash scheme? Yes, you will be able to accrue QPR Cash on all merchandise from the in-store and online superstore. Can QPR Cash be redeemed on tickets? No, QPR Cash can only be redeemed on merchandise for the 2018/19 season. Does my QPR Cash expire at any point? Yes, your QPR Cash will expire on the 31st May 2019. Will supporters be warned when their QPR Cash balance is about to expire next May 2019? Yes, we will send you email reminders as to when your balance will expire. Please keep your details updated, such as your email address to make sure that you will be able to receive any communications from the club regarding QPR Cash. What is the minimum amount of QPR Cash I can redeem? The minimum QPR Cash that can be redeemed is £1, and supporters can only redeem QPR Cash in increments of £1.